Please take a few moments and read through this listing and visit out front store page for more options. You may also scroll through the pictures in each listing for cheat sheets and visit our FAQs at the bottom of this page for more info. THIS IS A SINGLE LISTING, CLICK ON OUR NAME ABOVE TO SEE OUR WHOLE STORE. Ordering your mixtape vinyl record does require a few steps and some of your time but it is a simple and straightforward process. Please note - this process requires a desktop/laptop, you will not be able to submit your song files via a phone. This listing is for 10” black two sided, up to 12 minutes at 33 /13 RPM and 3 song limit. The 10" is super cool, in between the standard 12" and 7". 33 1/3 RPM is up to 12 minutes per side and 3 song limit. 45 RPM is up to 9 minutes per side with a three song limit. You may order right away and save a spot in the queue. This is recommended if you are not yet clear on your playlist but want your record in 18-21 days. (We will refund you any difference if your playlist ends up shorter than the 18 or 21 minute window and bill you if it is over). Amazing product!! 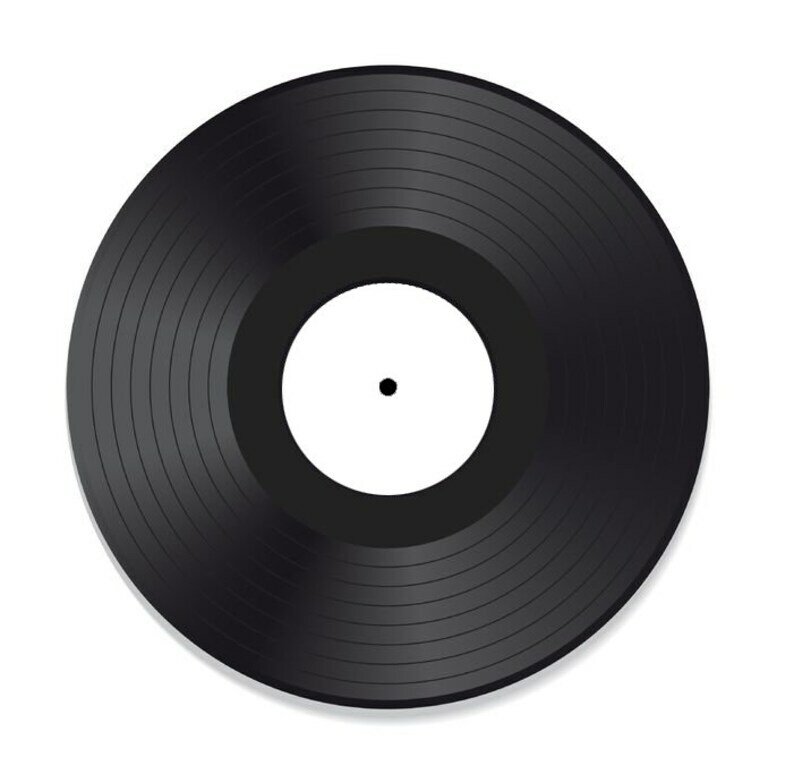 I ordered this custom vinyl for my boyfriend’s birthday, a record collector and enthusiast. I don’t know much about vinyl so I wasn’t sure how the lower quality (so I could fit another couple songs) would sound, but as far as I can tell it sounds just as good as his other records! He LOVED it and all our friends thought it was the coolest idea. The ladies of this shop were very responsive and helpful! The process was very straightforward and easy; other websites made me nervous about not doing everything right but their instructions here were so clear, plus their turn around time of two weeks I couldn’t find anywhere else. I was worried about it arriving on time so they shipped it expedited to me, which was huge. THANKS TEAM! I ordered this for my husband in honor of our 13th wedding anniversary. He’s a total audiophile and I knew he would love it. He just said that this album was the best present I’ve ever given him. They made I easy to order the album and customize the artwork for the center. Shipping was quick and it was packaged carefully. I’m absolutely thrilled with this product and the team who created it.